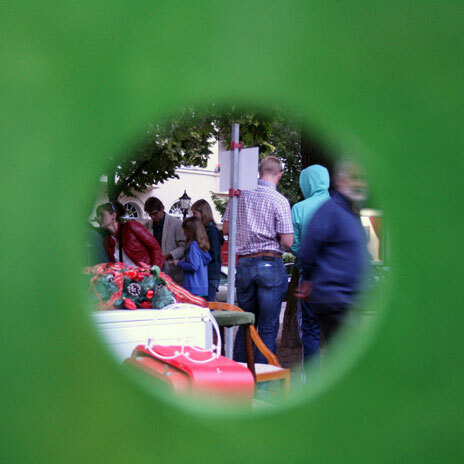 Main concern of the project Point of view by Sladjan Nedeljkovic is the dialogue between the community and the public space. 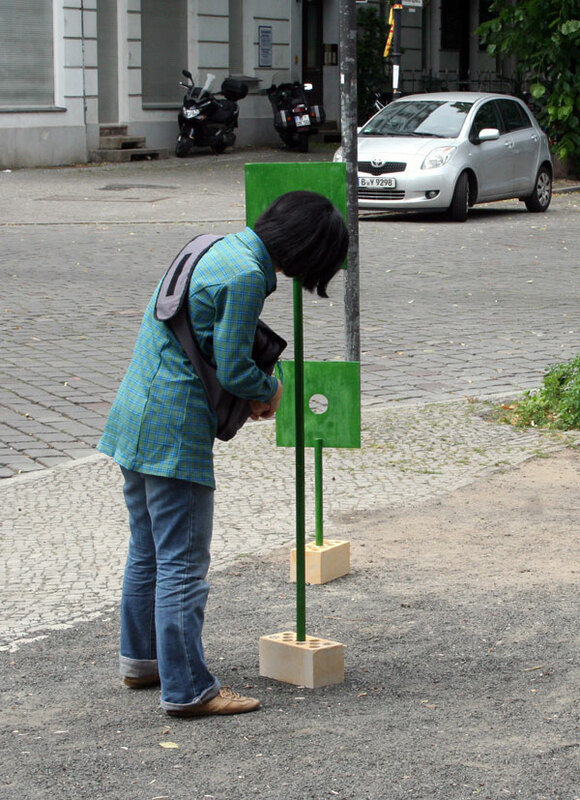 For this reason, the artist positions a "viewing device" on Richardplatz, which offers the random passer-by a different perspective of his familiar environment. 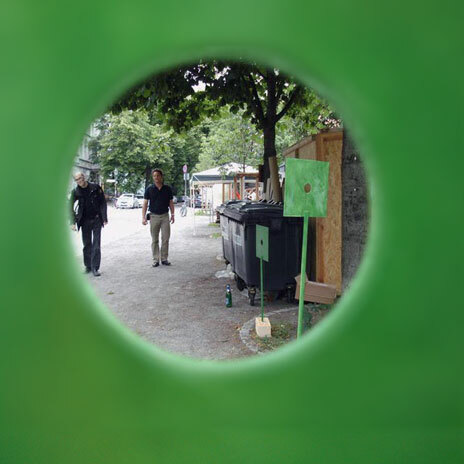 The project Point of view thus revolves around notions of different perceptions, the conscious viewing and active observation. 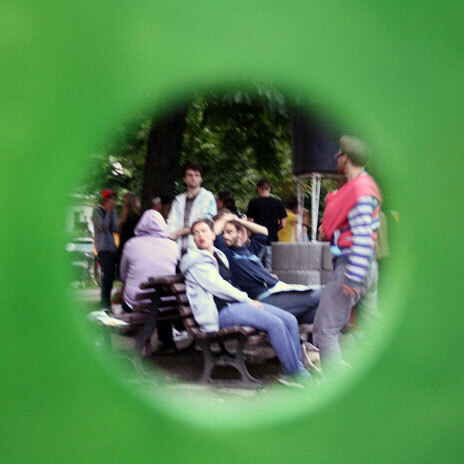 The participatory work invites everyone in the local community, from young to old, to perceive the environment at Richardplatz in a different light by the means of art.